When visiting for the university open day I fell in love with Plymouth; the city, the sea, the University, I loved it all and couldn’t think of a reason to not study here. I remember seeing the photos of graduation on the Hoe and saying “I want that to be me”. 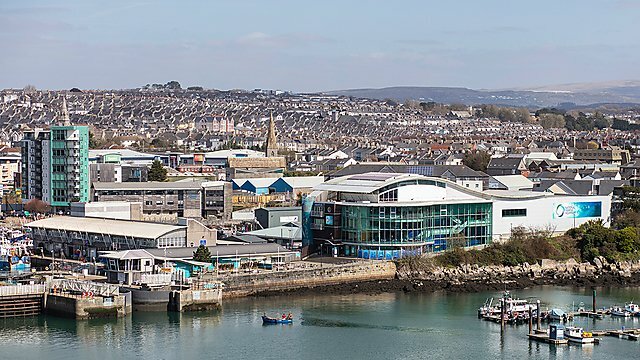 The University of Plymouth is a sustainable university, a perfect place to live and study being on the coast and close to Dartmoor. The motto of the University is the same as my life motto “Explore. Dream. Discover.” – Mark Twain. 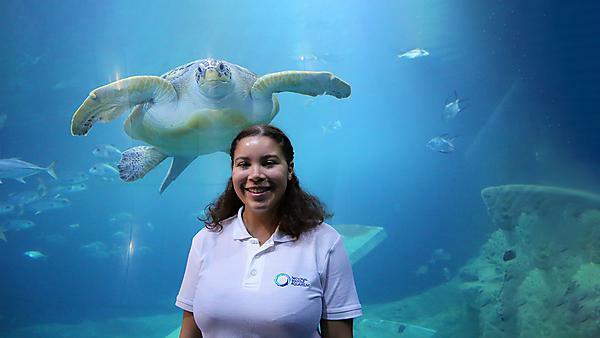 During my second year of university, thanks to UPSU: Volunteering, I started volunteering in the Discovery & Learning Department at the National Marine Aquarium. I completed over 200 hours of volunteering during my second year of university and most of this was spent at the National Marine Aquarium. I was offered a summer temporary job and then was kept on and continued to work part-time as an Aquarium Host alongside my third year. By the time final year exams were finished it had developed into my full time job and reason for staying in Plymouth. Over the last year since graduating my role has been varied; I am an Aquarium Host doing the shows, talks, behind scenes tours and birthday parties, I have been the Creative Centre Assistant where I introduced upcycling stations in the main office for staff to drop in things like toilet roll tubes and contact lenses cases to be reused in the craft room. I also developed and ran sessions for the Toddler Morning Programme inspiring young children about the marine world and conservation through play, crafts, sign language and crafts, I’m a resident mermaid “Marina” teaching young school children and members of the public about the oceans and being the Volunteer Coordinator to more than 30 volunteers. 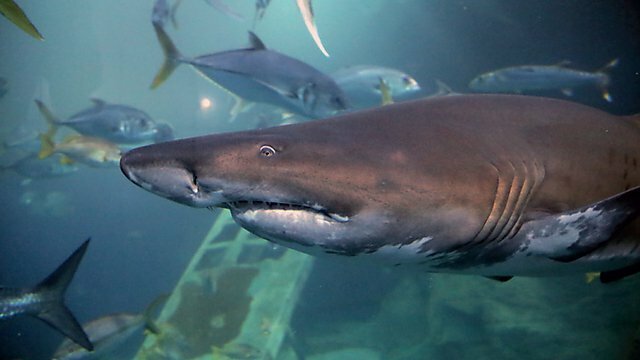 Aside from spending most days and many nights watching the sharks, eagle rays and turtle swimming around, the best thing to happen so far has got to be the Toddler Morning Programme winning a Gold BIAZA (The British and Irish Association of Zoos and Aquariums) award in the Education Category in May 2017. A brilliant moment to have the project I have been a part of, and put so much hard work into for over a year, receive recognition within a few months of me graduating. From the first day of our second year field trip to Malta where we spent hours exploring the stunning island of Gozo, to completing a charity skydive with UPSU: Volunteers in my first year, raising money for the Monkey Sanctuary in Looe, Cornwall. 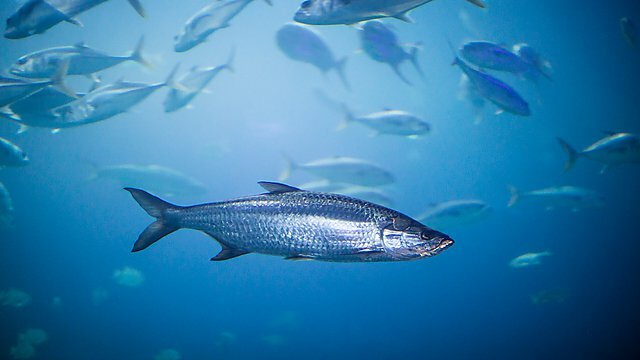 Gozo, Malta (courtesy of Getty Images). I am thankful for the call I got from lecturer John Bull on A level results day asking me to consider studying environmental science at Plymouth. Looking back the course and the University have provided many opportunities for me to grow. Environmental science is a fantastic interdisciplinary course; I never thought I would learn about environmental law, ecological economics, marine science, climate change and soil in the same week! Looking back on my course I really took for granted how much time we spent out on day trips to Dartmoor; it really is an amazing course that utilises the University's surroundings of Dartmoor and the coast. Studying environmental science was a challenge, learning so many new topics all at once meant not every day was easy. But the course pushed and motivated me to keep going as I knew this was the direction I wanted to head in. If you have the drive and determination you will figure it out in the end. Plymouth provided me with opportunities to improve and learn from other students through PALS sessions. I am thankful to the UPSU: Volunteering team for surrounding me with like-minded people who just want to help however they can voluntarily. And of course the library was a brilliant resource having past papers and literature available at all hours of the day was a blessing. Living in Plymouth for the last four and a half years I have spent a lot of my time at the beach. Unfortunately, in these years it has now become part of my regular routine, that when out adventuring on the coast, to bring along a litter-picker, some gloves and my beach clean bags. 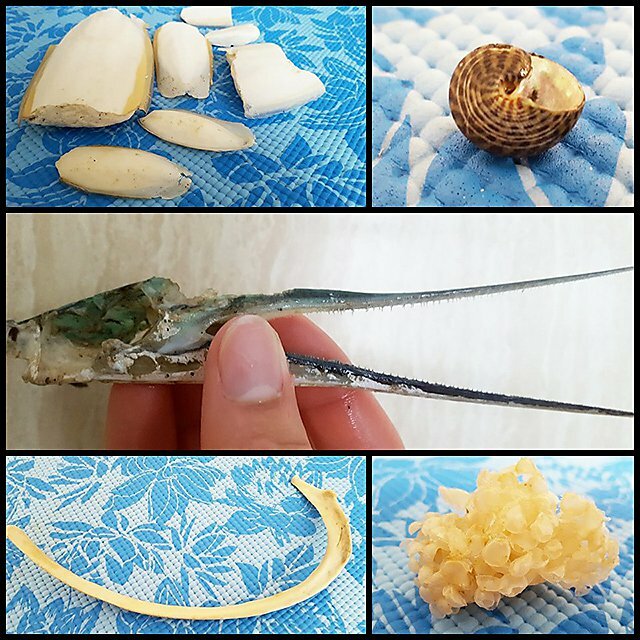 Marine debris is a common sight on our shores, with over eight million tons of plastic dumped in the ocean every year it is quicker and easier to find litter than it is to find things like shells and mermaids purses (shark eggs) on the beach. Wanting to do a bit more and inspire others to be part of the solution I set up a community group in our city called Plymouth Beach Clean Volunteers. 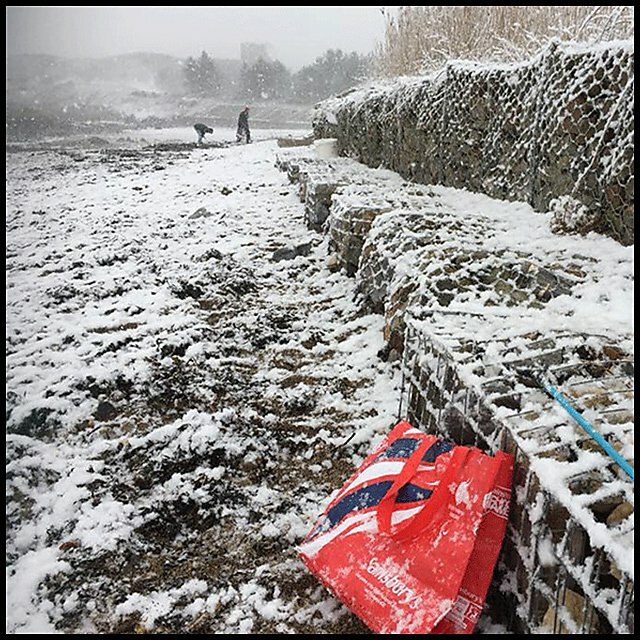 We have completed our first few beach cleans one of which was in the snow blizzard! There will be many more so come along and help restore our coasts to their natural beauty. 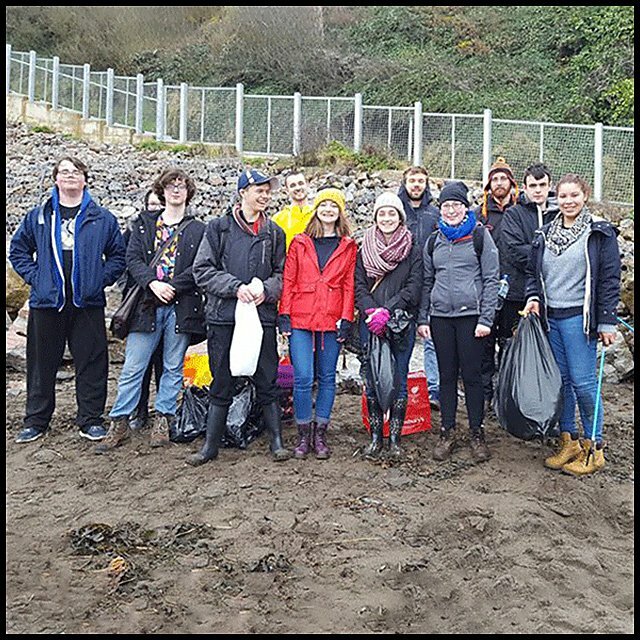 You can find out more information on the beach cleaning events – there is plenty of opportunity to get involved. It is important to have an idea of where you want to go in your career and gives you the opportunity to figure out what you can do in your spare time to get to where you want to be. Something I am starting now but wish I had started earlier is taking time to create and set goals for my personal and professional development. Looking back, I would also probably tell myself to use more services like the Careers & Employability Service for advice on cover letters and CV writing, attend more career and networking events, taking every opportunity to advance my career and enhance my skills.